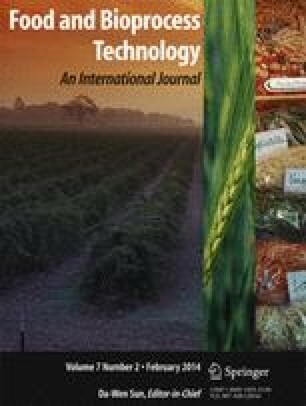 During the past decade, hyperspectral imaging (HSI) has been rapidly developing and widely applied in the food industry by virtue of the use of chemometric techniques in which wavelength selection methods play an important role. This paper is a review of such variable selection methods and their limitations, describing the basic taxonomy of the methods and their respective advantages and disadvantages. Special attention is paid to recent developments in wavelength selection techniques for HSI in the field of food quality and safety evaluations. Typical and commonly used methods in HSI, such as partial least squares regression, stepwise regression and spectrum analysis, are described in detail. Some sophisticated methods, such as successive projections algorithm, uninformative variable elimination, simulated annealing, artificial neural network and genetic algorithm methods, are also discussed. Finally, new methods not currently used but that could have substantial impact on the field are presented. In short, this review provides an overview of wavelength selection methods in food-related areas and offers a thoughtful perspective on future potentials and challenges in the development of HSI systems. The authors are grateful to the Guangdong Province Government (China) for support through the program of “Leading Talent of Guangdong Province (Da-Wen Sun)”. This research was also supported by China Postdoctoral Science Foundation (2013M530366). Prof Don and Karen Barnes and Dr Rana Muhammad Aadil are gratefully acknowledged for kind assistance and revisions of English quality and styling of this paper.